Pumpkaboo Super in game: 3,096 Who? Important notice! 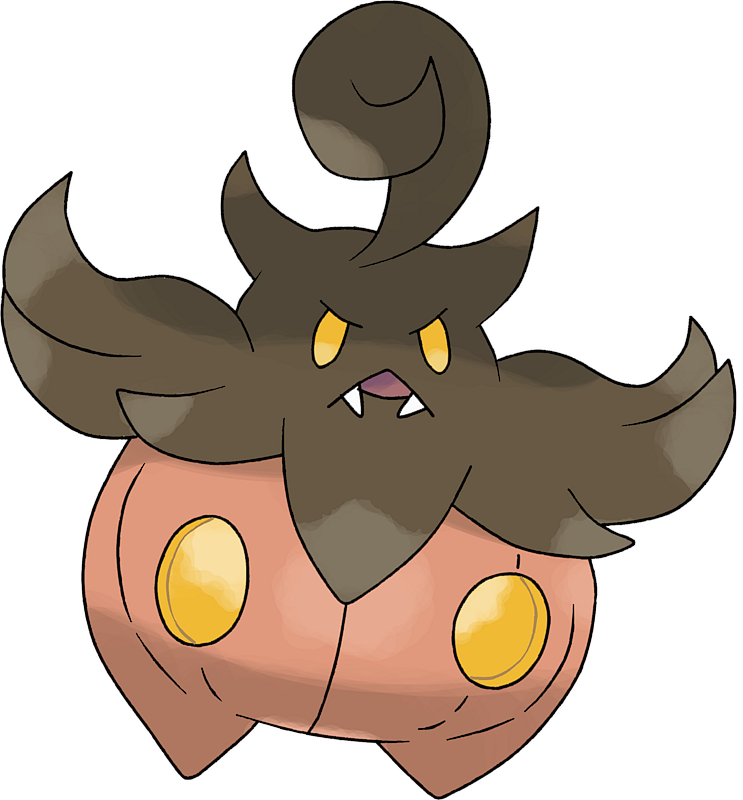 Pokemon Pumpkaboo Super is a fictional character of humans. 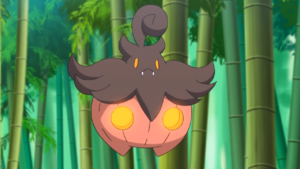 Pumpkaboo (Japanese: ????? Bakeccha) is a dual-type Ghost/Grass Pokémon introduced in Generation VI. Pumpkaboo made its debut in The Bamboozling Forest!, where Jessie tripped over a Super Size Pumpkaboo in a forest. When it came out of the ground, she threw a Poké Ball at it and successfully caught it. It later evolved after being traded in A Festival Trade! A Festival Farewell?. A Small Size Pumpkaboo named Prince Pumpkaboo appeared in A Festival Trade! A Festival Farewell?, under the ownership of Count Pumpka. 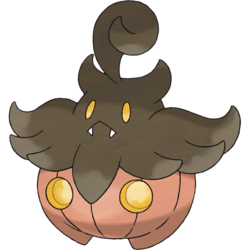 An image of a Pumpkaboo appeared in A Performance Pop Quiz!. Two Pumpkaboo appeared during a flashback in The Legend of X, Y, and Z!, with one belonging to a Trainer and the other appearing as a painting on a wall. A Pumpkaboo appeared in the X & Y chapter, where one was with Diantha underneath some rubble to hide from the Ultimate weapon's beam. A Super Size Pumpkaboo has a different cry from its other three forms, pitched lower than the cry shared by the other forms. Bakeccha may be a combination of ??? obake (ghost) and ?? kabocha (pumpkin).